Bruce Willis Signs On With ‘The Prince’!!! 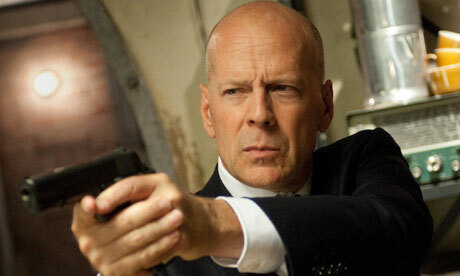 Bruce Willis isn’t giving up the action films yet. He is set to star in an action-thriller called ‘The Prince‘, which will be produced and financed by Emmett/Furla films. Get this though, the budget is only $15 million dollars. An action film, starring Bruce Willis for only $15 million? That’s crazy, considering what Willis did a few weeks ago. If you don’t remember, Willis walked away from a $3 million dollar offer for four days of work on ‘Expendables 3‘, because he wanted $4 million. And I can’t see Willis scoring much more of a paycheck for this project, unless he is getting something off the back end of the deal. Sarik Andreasyan is directing from a script by Andre Fabrizio and Jeremy Passmore. ‘The Prince‘ follows a retired Las Vegas mob enforcer who is forced to return to the city and face his former enemies when his teenage daughter goes missing. Willis plays a man who has waited years for the enforcer to return, and a confrontation is inevitable. This sounds familiar. Wait…I think we’ve seen Willis in this situation before at least a dozen times. What’s one more time gonna do? This entry was posted on Monday, September 9th, 2013 at 10:04 am	and is filed under Film, News. You can follow any responses to this entry through the RSS 2.0 feed. You can skip to the end and leave a response. Pinging is currently not allowed.